Today was 9hrs of a continuous upward climb of 5250ft. It was a gradual uphill, which I’m thankful for. I will definitely sleep well tonight. We are currently camped at 8250ft (the highest I’ve ever camped) and it is just below freezing. The good news is that there is no wind and it’s pretty cool to be camping above the clouds. Here is a pic from the campsite. I am LOVING my warm Marmot Helium sleeping bag tonight! This morning I indulged in the continental breakfast and ate a ton. We think I even ate more than Top Shelf. Then we started walking back towards the trail. On the way, we passed a Del Taco and a guy handed us five tacos that he just wasn’t in the mood for. Score! We were stuffed and I managed to down two of the tacos while Top Shelf ate the other three. We started off with two of the really nice couples from last night, Stumbling Goat and Thumper and Eden and Kristen. Then Cow Bear and Punisher walked up. They didn’t stay at the hotel and had jut come off the trail and had breakfast at McDonalds. We all started up the trail on full stomachs. Today was pretty much the same view all day as we wound up into higher elevation. I keep meaning to mention how lucky we’ve been with the last few days because it is supposedly usually over 100 degrees when hikers come through and it has been in the 60s and 70s. I was excited today to listen to the book on tape that I have called, The Help. The movie is coming out this summer and the audiobook is great with various southern voices reading the characters. I made myself wait until after our first water stop (7mi in) to start listening. I was so excited to listen to it that I got my headphones out if my pocket as soon as I saw the cache. I reached for my player clipped to my hip belt and it was gone! What is wrong with me lately!? I was pissed! It was a tiny blue player and it was somewhere on the last 7mi of trail. I sat at the cache bummed. I turned on my phone to call some of the hikers I knew were a few hours behind me and I thought about leaving a note at the cache in case it was found. Then Cow Bear and Punisher walked up and immediately asked me if I had lost something. They had my player and I was soo relieved! Mini crisis averted, but I am not happy with my loss of objects lately and I’m going to work on being more attentive. I almost lost my camera the other day and I even left my sunglasses at a camp before Big Bear City and I have cheap $5 til I get sent my replacements. Urgh! 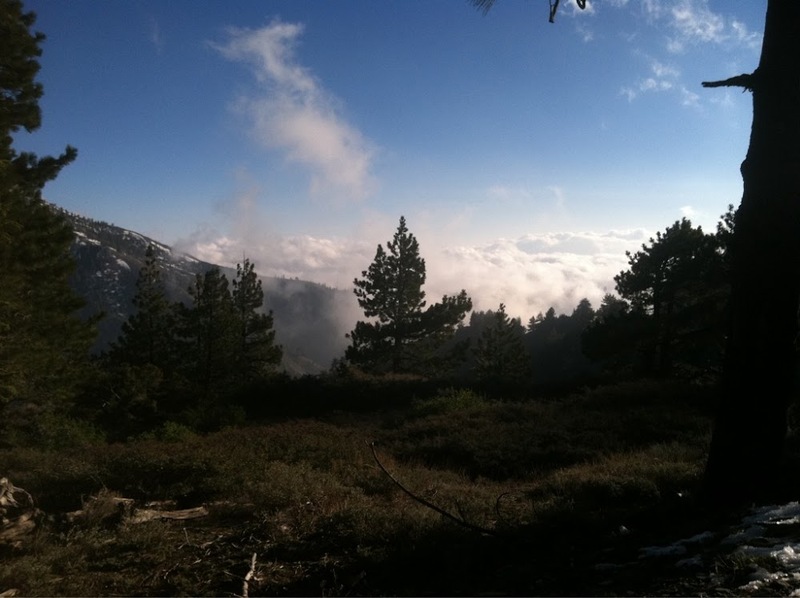 We are only 5mi from Wrightwood, which we can see in the distance down below. We are camped with about 10 other campers which will make the 5mi hitch into town more challenging. We don’t know if we are going to stay the night in town or move on through once we resupply. There are a list of people who let hikers camp at their house if they want to stay overnight. We’ll just see how we feel. Lol no comment on this one! ? Hi Anna, this is Clare (Perth)!! Wired you did start losing things early on! Enjoying reading these and The Caffeinated Hiker now you’re taking a break to do normal person things! That is hilarious!! I can totally imagine doing the same though! Just back from out bush and had the most crazy time with diversions on the Bibb. One young girl got so lost she ended up tracking along the river between Harris Dam and Dwellingup drinking only river water… crazy days out here but making for fun stories ? Hi Clare! So cool to find a fellow Perth hiker! 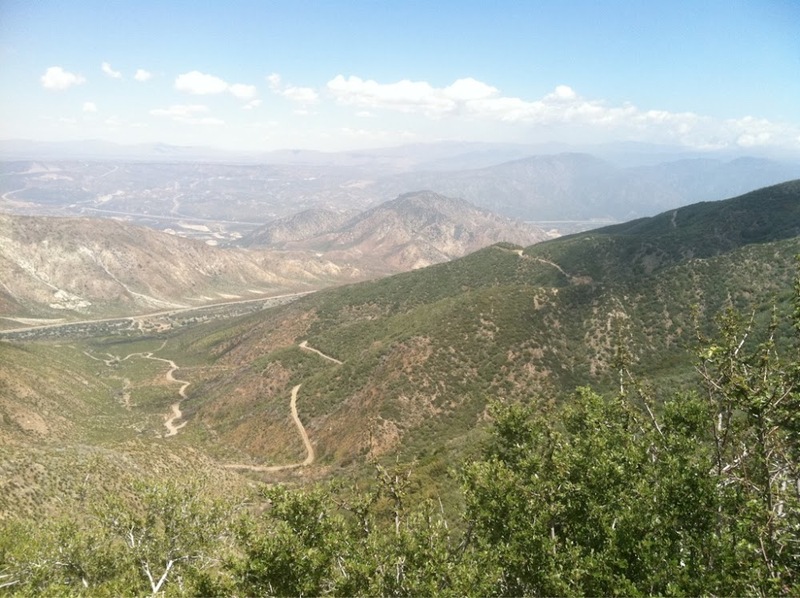 You can find me on my blog http://www.fromperthtoperu.wordpress.com – I have some of our local day hikes on here too! Hi Anna – I’ll check your blog out – see comment above! I’m just sorting out blog stuff, been microblogging on Insta and FB pages under Wild Mustard Walks but I think I’ll get blog sorted. So many stories to tell!